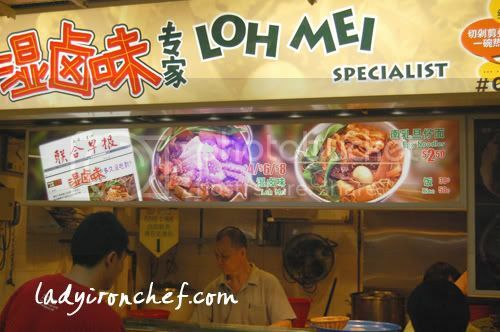 Loh Mei specialist is a store in the People’s Park food centre at Chinatown. “Ru wei” or braised meat, is very famous and commonly found in Taiwan, but somehow in Singapore, its not the case. Thus its good to see a store delicated to selling this alone. Their Loh mei comes in 3 prices, $4, $6, or $8. 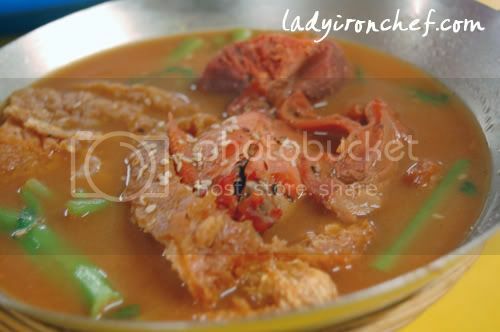 The picture doesn’t looks very flattering, but i felt that their loh mei is not bad, but the portion is kind of small at $4, and at a hawker centre paying 4 bucks is slighlty above average prices. I used to eat this when I still stay around that area. Standard has dropped and portion reduced. But still unique in singapore. Taiwan braised meat/organs seems similar like our braised duck and pork? I had their braised organs in taipei, taste similar and very long queue, haha..
didally: yeah portion is reduced. Definitely unique in Singapore, you can’t really find much stores selling braised meat and organs in Singapore, unlike taiwan. Nothing special and taste only ordinary.